Smaller swamp coolers or "spot coolers" can range in price from under $200 USD to about $600 USD for units that can move up to 4,000 CFM / 113 CMM. Larger area coolers start under $900 USD and reach over $2,700 for units than can move up to 20,000 CFM / 566 CMM. Shipping costs can soar on the large, heavier units. Fortunately some suppliers will give you a price break on shipping when you spend a certain amount. You can get a general idea of operating costs by estimating the cost of the electricity and water. To estimate electricity costs for a swamp cooler, multiply the number of watts the unit uses per hour, by the rate your electric company charges per hour of electricity used. Most electric companies charge based on a "kilowatt-hour" of electricity used. This is simply 1,000 watts used in a hour. If I use a 100-watt cooler for 5 hours a day, I will have used 500 watts of power, or .5 kilowatt-hours of electricity. If my electric company charges $.10 per kilowatt-hour, this evaporative cooler would cost me $.05 for every 5 hours I run it -- about a penny per hour. Your costs would depend on your specific unit and what your own electric company charges. Exactly how much water a swamp cooler will use is hard to estimate -- it varies depending on the size of your unit and the weather on any particular day. It may range from 3 to 15 gallons / 11 to 57 litres per hour. Since most retailers and manufacturers don't have specific estimates, consider using 7 to 9 gallons / 26 to 34 litres per hour as an average estimate, realizing your actual numbers will vary. Multiply average water use by the number of hours you plan to use your swamp cooler. Using it for the hot hours of 11 a.m. to 3 p.m. would mean 4 hours of use. 7 to 9 gallons / 26 to 34 litres per hour for 4 hours would be 28 to 36 gallons / 104 to 136 litres per day. Then simply multiply that number by what your water company charges per gallon / litre of water. Add this to your estimate for electricity for the same number of hours to get the total estimate to run your evaporative cooer for 4 hours. If you ever want to use the fan only, the operating estimate would be for electricity only for the times when you're not running the pump. The pump typically draws so little electricity that it will have little effect on you electricity estimate. Maintenance costs for swamp coolers are typically pretty minor. Still, it's best to be aware of and prepared for them before you make a purchase. You'll need to buy replacement pads from time to time. How often they'll need to be replaced depends largely on the quality of water that goes through them. "Hard" water (water with a high mineral content) can damage and clog pads more quickly than soft water. Water that has been artificially softened may also have salts and minerals that can affect the longevity of these pads. Of course, how often the swamp cooler is used will also affect how often the pads need replacing. In general, figure on replacing pads once a year during the yearly maintenance. Areas with good water may be able to hold off replacement for 5 to 8 years. Frequent maintenance checks are the best way to determine when your pads need replacing. Pad prices and sizes can vary a lot. You might be able to find a set of 2 for $40 USD, or just one for $150 USD. The price will depend mostly on size and materials. Many swamp coolers need just one pads, but there are some that take as many as six. You'll be fairly limited in your choice of replacement pads --each evaporative cooler has specific pad size requirements. Check with your retailer or the manufacturer when you're choosing your cooler if you want to avoid being surprised by replacement costs. Air Filters are not a large expense, but you will need to replace them from time to time. Any filters you buy will also need to be sized to your evaporative cooler. These are usually fairly inexpensive, but specialty filters, such as carbon filters or HEPA filters will naturally cost you more. It's good to plan on replacing these yearly, but you may need to replace them more or less often depending on the quality of your air and the amount of contaminants in it. Some of these can be cleaned and re-used. Regular maintenance may be more important to swamp coolers than to other outdoor cooling methods. Daily maintenance while the unit is in use is usually just a matter of making sure the water tank is filled and making sure connections to electricity and water are secure (especially important with outdoor set-ups). Of course if you have a continuous water supply you won't have to fill the tank manually. Inspect your swamp cooler weekly or monthly. Pads may need replacing, depending on how often the cooler is used, water hardness, degree of dust in the air, etc. Check for signs of wear, damage, or mineral build-up. Some pads can be cleaned by soaking in special products approved for evaporative cooling pads. This can extend the life of these pads. Don't use any non-approved products which could damage the pads (voiding any warranty on the pad), or get into the air supply. Inspect any filters to see if they need to be cleaned or replaced. Drain the water from the unit and wipe the tank clean of any debris or mineral deposits. Clean the working parts of any mineral deposits. Yearly maintenance includes preparing your cooler for long periods without use. This helps prevent odors and corrosion from developing. Drain the cooler of any water to prevent any potential for mold to develop or for freezing to burst any water lines. Allow the pads to dry out, remembering to inspect for replacement before the start of the next hot season. If your water has a low mineral content, you may be able to use you pads for several years before they need replacement. Inspect air filters and replace or clean them if they've started to get clogged. You may need to add oil to the motor -- as often as once a year to once every 5 years, depending on the kind of motor your unit has. Wipe down the inside and outside of the cabinet. It can become extremely corroded if left unattended for long periods. If you have a painted steel cabinet it may need to be repainted at this time. Taking care of the cabinet will not only keep it looking nice, but a well-maintained cabinet helps protect the inner workings of the cooler. Place the unit in a dry place and cover it if possible. Inspect it again when taking it out of storage. Make sure its interior is disinfected and dust free before using the unit. Check that all electrical connections are secure. Since evaporative coolers are fairly simple devices, some do-it-yourselfers choose to make their own repairs. There are websites and retailers that sell many kinds of replacement parts including motors and pumps among others. 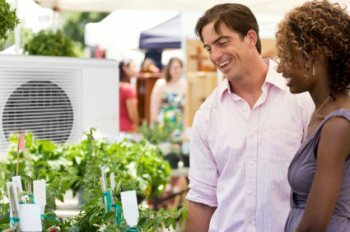 You can often get replacement parts directly from the manufacturer of your evaporative cooler, or you may be able to find discounted parts elsewhere. If your unit is new and under warranty you'll probably want to consider having it repaired by the manufacturer or an authorized repair company. Attempting to repair it yourself can void any warranty on the unit. Generally more durable parts of the cooler have longer warranty periods. Usually electrical parts and labor are covered for the shortest amount of time. For example, one manufacturer offers a generous warranty on their cabinets for up to 25 years while the pump and motor are under warranty for 3 years. Typical warranties are for 1 to 3 years from the date of purchase and cover "defects in workmanship and materials". Warranties require that you install, maintain and operate the swamp cooler according to its manual. Warranties won't cover damages from "abuse," "improper" installation, maintenance or operation. Damages or losses are usually limited to the purchase price of the defective components. A warranty won't cover the cost of shipping, so consider a local repair company that is "authorized" to work on your brand of swamp cooler. This will ensure that any repairs under warranty will actually be covered. Once the warranty is expired you can use any repair company you choose, or you can make the repairs yourself. If a defect develops, contact the manufacturer of your swamp cooler. They can advise you if repair or replacement is covered. Be prepared to show or send a receipt to make a claim. Don't rely on your supplier for a record of the sale -- keep your receipt in a safe place.